Ezra was a priest, a scribe, and a great leader. His name literally means “help” and this is exactly what Ezra did. Ezra helped fulfill the promise of the Jewish people returning to Jerusalem. In this short chapter, Ezra 3 has some powerful insights and reminders that can speak to your heart today. The first insight is noticing one of the most important things the Jews did upon returning to the city. Their first focus was on creation and use of the alter. It was the symbol of God’s presence back in Jerusalem . What does God’s presence look like to you? Is there a presence in your home? For me I think of some of the little things that represent and remind me of our trust in Him. 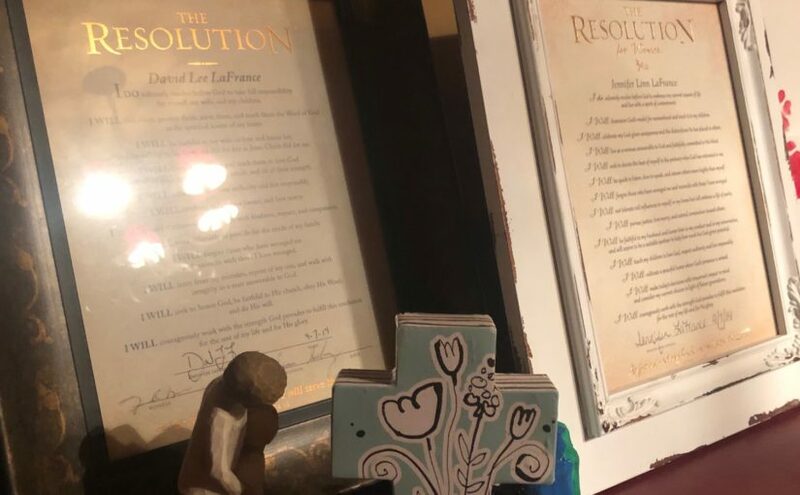 The verses that hang on our walls, the calendar that shows family pictures with verses written, the kids Sunday school handouts hanging on our fridge, the Resolution certificate framed from our marriage small group study sitting in our dining room. In a kitchen you can find a mason jar full of prayers and praises from this year. I also reflect on what do we model when others come stay? What are we modeling when we are alone? Are we intentional in having a place where we can rest in His presence and show our trust in His protection and presence like the Jews did upon returning home? 3 Despite their fear of the peoples around them, they built the altar on its foundation and sacrificed burnt offerings on it to the Lord, both the morning and evening sacrifices. Lastly, look at the end of Ezra 3. At first I was unclear about verses 12-13. The contrast between shouting for joy and weeping? In my study bible it talks about the mix of emotions being felt at that time between the generations. That some Jews had lived when their first temple was originally built, while others were part of something for the first time. How many times does the Holy Spirit produce that same emotion in us? I can be standing in church arms up, praising God singing, without any care for my pitch. The next moment, my hands wiping tears from my face convicted once again. I can often become sobered by my shortcomings, and full of joy, thanksgiving in other moments. In these moments I can see how there are times when it is hard to decipher. Only God can move us that way. 12 But many of the older priests and Levites and family heads, who had seen the former temple, wept aloud when they saw the foundation of this temple being laid, while many others shouted for joy. 13 No one could distinguish the sound of the shouts of joy from the sound of weeping, because the people made so much noise. And the sound was heard far away. Where do you turn when your world has been flipped upside down? Maybe it was a marriage, job, your own child, a bad decision? Where do you return? You return home to the Lord. If you have been lost, or maybe just need to rebuild. Head into the wonderful arms of our Lord.